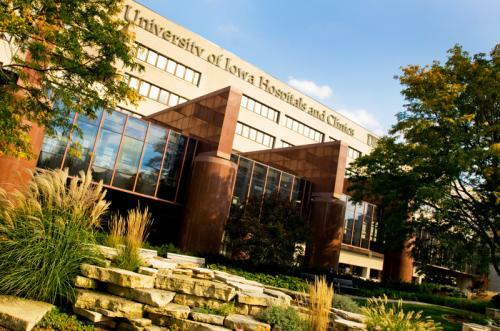 The Ophthalmology Residency at the University of Iowa is a three-year ACGME-accredited program. Recognized as one of the finest ophthalmology training centers in the world, the program consistently ranks among the best in Ophthalmology Times and U.S. News and World Report. The department seeks to foster intellectual curiosity and collaboration. The ophthalmology facility covers 56,000 square feet on two floors of the Pomerantz Family Pavilion, as wells as multiple off-site-clinic and laboratory locations. With over 60,000 patients per year, we are constantly striving to provide first class patient care. The residency program seeks to give residents a broad general ophthalmology background with the opportunity to gain experience in subspecialty areas. Approximately 50% of graduates of the program enter private practice immediately upon completion of the 3-year residency. Others pursue fellowship training before going into practice or entering an academic career.